Many of us think that technology has been developing at a slow pace in the past few years. On the contrary, the latest tech to come out of labs around the globe is quite astonishing. Here are some examples of technology gadgets that seem like they are a long way from reality but are just as real as the screen you are reading this on. This socket attaches to your window and generates solar power to allow you to charge your laptop or smartphone before the battery runs out. You won’t have to run around the house looking for a socket to charge your gadgets thanks to this little device. 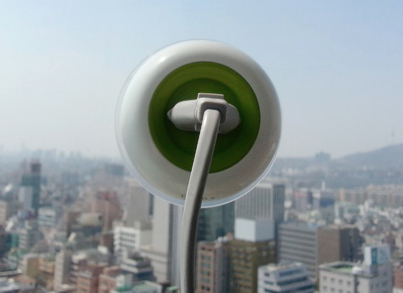 The solar powered window socket requires 5-8 hours to charge completely and lasts for 10 hours. That should give you plenty of time to get your work done and enjoy the view outside of your window. This is the gadget that has boosted Google’s reputation since last year. The internet giant is making a move into the world of tech toys and it’s quite a splash. 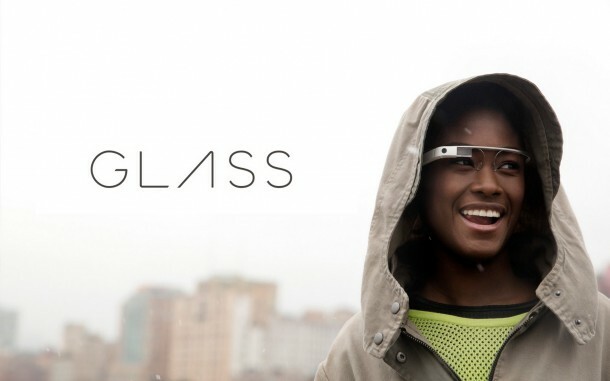 Glass comes equipped with WiFi, Bluetooth and a camera that is capable of recording 720p videos. The Explorer Edition, worth $1500, was shipped to 8,000 lucky winners of the Google Glass competition and the general-release edition will hopefully be available this year with a price tag of $200-600. The ProDesk3D is the world’s first full-color 3D printer. 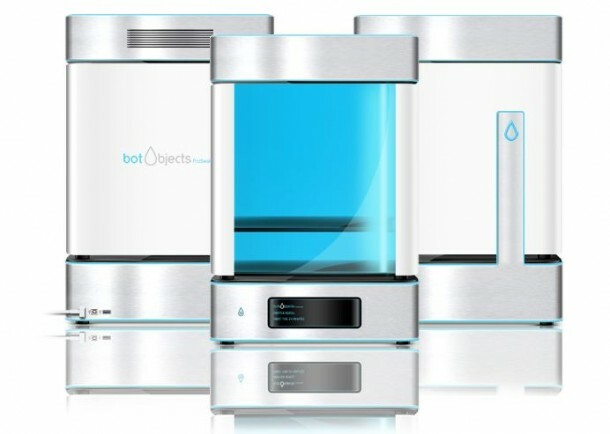 The appliance alone looks beautiful and futuristic but it’s capabilities are more than skin-deep. The printer has a unique five-color cartridge system which mixes shades to produce the exact color you want. The printer produces high quality 3D prints using its 25-micron dual extruder head and uses a tri-fan system to maintain constant airflow in the casing. 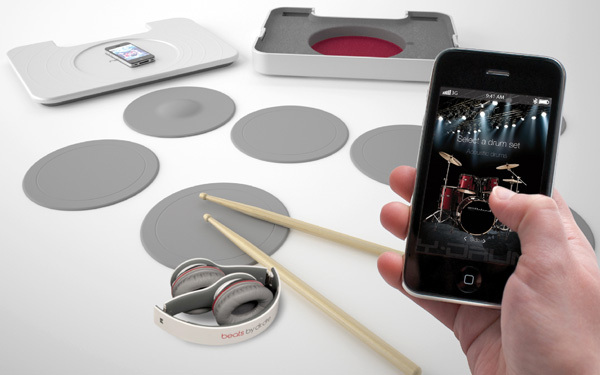 Designed by Kevin Depape, the Y-Drum is the future of drum sets and the greatest learning tool for beginners. Air drums are ancient history compared to this amazing technology, as Y-Drum comes with a relatively portable carrying case that has built in speakers which make drumming a lot easier at any party you go to. The system can be connected to a computer for song recording and editing purposes. Despite cloud storage, flash drives are still in high demand. 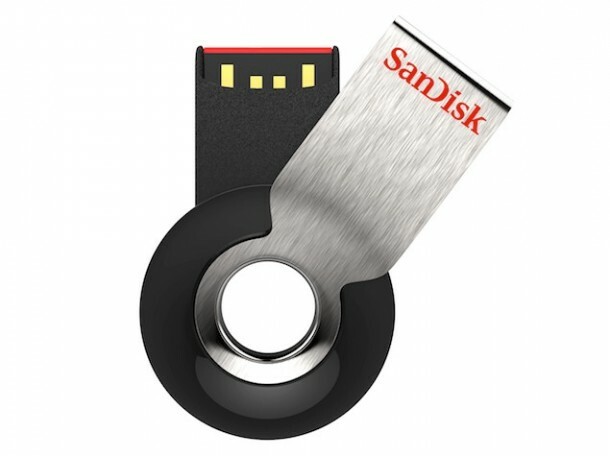 The SanDisk Cruzer Orbit is a spinning flash disk available in 4GB to 32GB capacities, with the 32GB version costing only $40. The affordable price makes it accessible to the masses and its donut-shape means that it can be stored in any key ring, ring-binder or a lanyard without the fear of losing your precious data. Just as a flash drive should be. The Arzum Firrin tunnel toaster saves your fingers from getting burnt every time you pull the toast out of it. The toaster allows you to toast bagels, croissants and of course, bread and prevents any crumbs from accumulating at the bottom. Users can monitor their food from the open sides and pull the tray out once the desired level of toasting has been achieved. 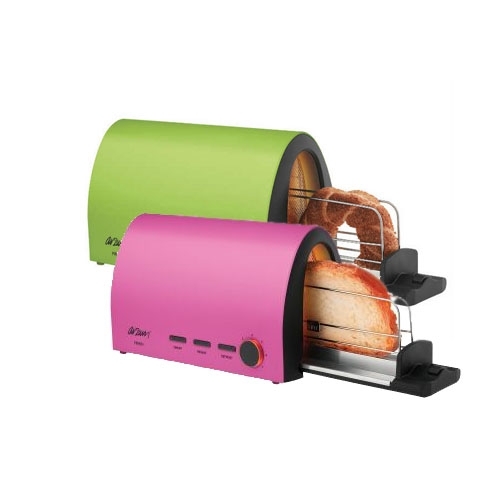 The Arzum Firrin toaster costs $72 and available in green, orange, magenta and silver colors. 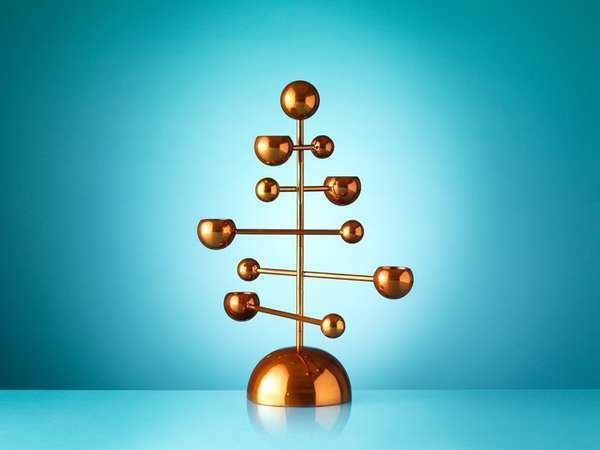 Designed by Note Design Studio, the Teluria Candelabra presents an old form of lighting in a futuristic way. The device looks as if it’s from another planet and was inspired by the Tellurion device which is used to show the movement of planets. At 18-inches tall, the device is available in a variety of colors from a wood-finish to a glossy baby blue and antique brass. A great mod-decoration piece. 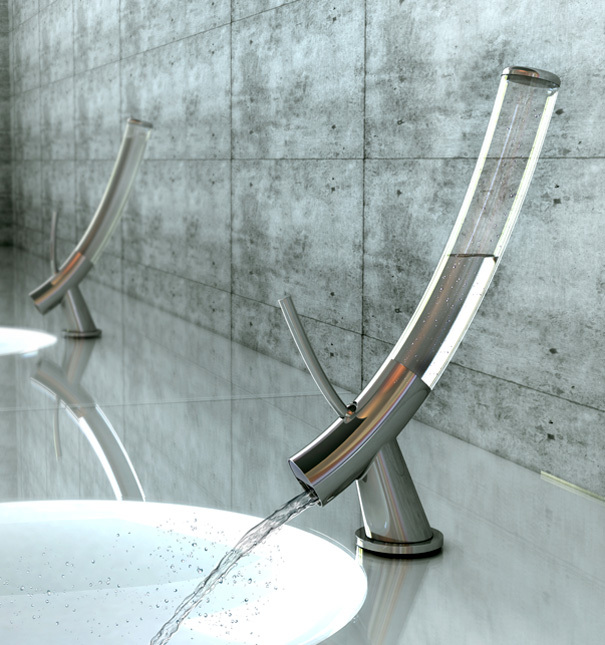 The 1limit faucet, besides having an amazing design, is an amazing way to conserve one’s water consumption. The see-through part of the faucet casing holds exactly 1-liter of water, which is considered substantial to wash one’s hand. The lever on the faucet is used to turn it on or off. After the 1 liter of water has been used, the faucet must be turned off so that it can fill up before it is used again. 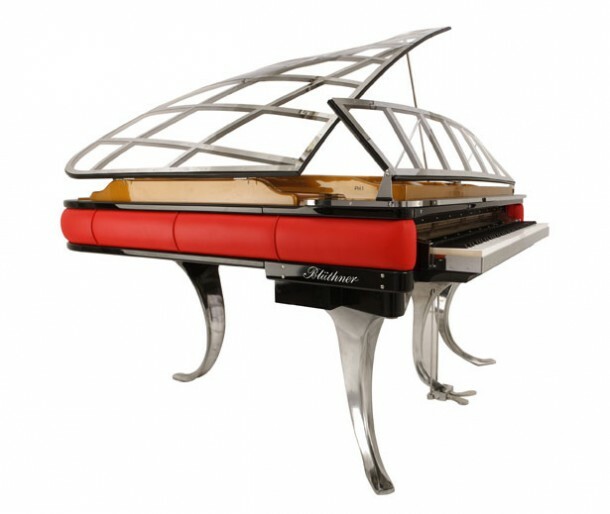 The Poul Henningsen Grand Piano was actually designed in 1931 by Poul Henningsen when a Danish Jazz pianist told him how he could not see the bass player during performances due to the solid lid of his piano. This futuristic grand piano has a transparent lid which allows you to see through it and also gives you a glance at the amazing working going on inside the instrument. 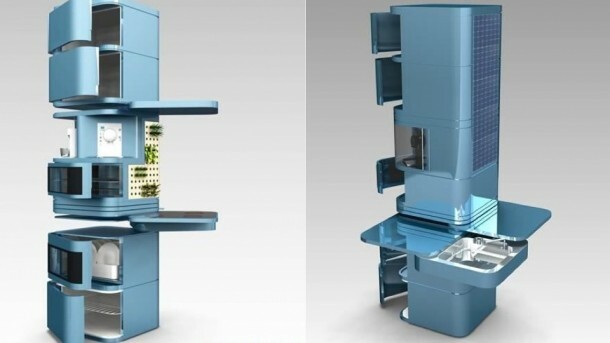 The modular island kitchen is designed by Massimo Facchinetti and is the future of kitchens. The kitchen not only conserves space but also energy. The green kitchen module is powered by solar panels and the water from the sink is filtered and reused in the dishwasher. The module includes a cooking range, microwave, a space to store the coffee machine and a vertical herbal garden where you can grow your own herbs. 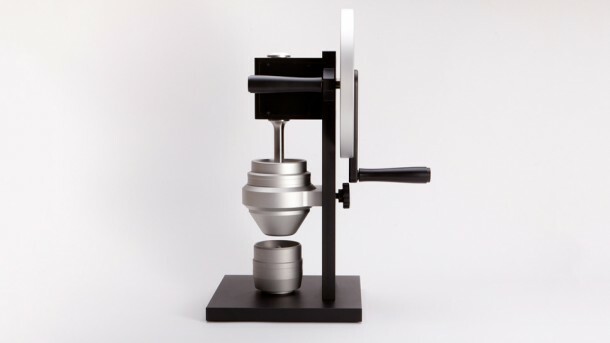 The body of this bean grinder certainly looks futuristic, and the cost of $900 would make people think that this is more than just an average coffee grinder. But the HG-One coffee grinder is a hand-powered, conical burr grinder. The fact that it uses no electricity makes it a ‘green’ product. The machine is also 95% recyclable by weight. The finishing and beautiful design are amazing and partly justify the insane price tag. 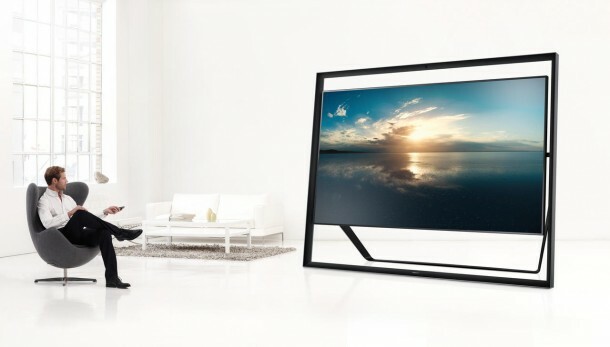 The days of HD televisions are limited now that Ultra HD TV’s are here. The Samsung S9 is the world’s largest production television and uses technology which give it a four times better picture than regular HD televisions. The 85-inch giant costs $40,000. The price may be reasonable to those who have compared watching the television to looking through a window. While Samsung is going for large and grand, the people at Haier are going for something a little more innovative. 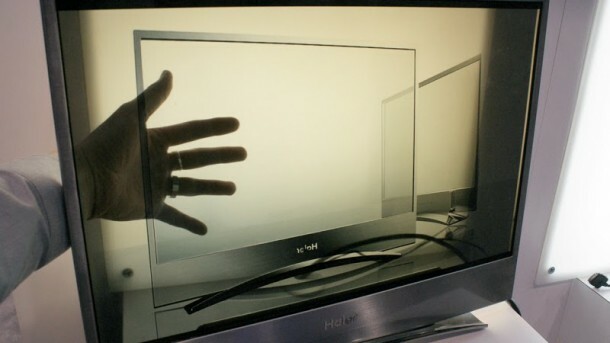 Haier’s Designer Series Transparent TV is a completely transparent LCD TV. You have to make sure that there is nothing behind the screen when watching TV so it doesn’t show up on the screen, but if you want to be a little more interactive with the program on TV, this device will let you do just that. 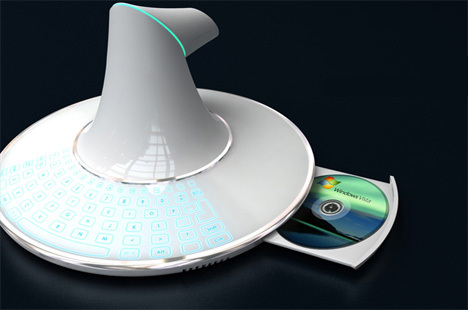 The B-Membrane hybrid computer was designed by Won-Seok Lee and the inspiration came from spaceship designs. The device lets users type, surf the internet and do other tasks they would on their conventional computer, all while projecting the screen onto a flat surface. Unfortunately for this design, the concept died after it was unveiled in 2008. 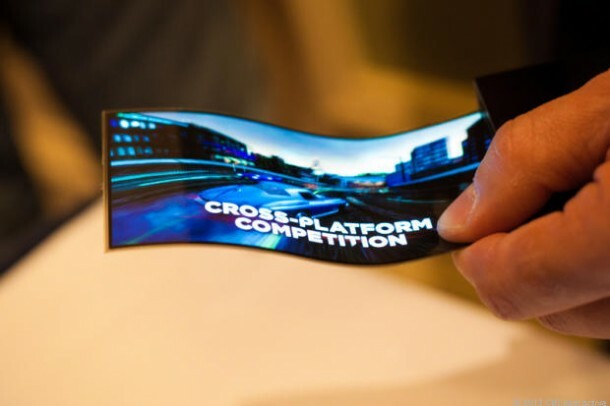 Samsung’s Youm is the world’s first flexible and bendable smartphone. This groundbreaking technology uses OLED’s that are flexible and almost indestructible. The phone features a Windows operating system and is the first of its kind. This doesn’t come as a surprise since Samsung controls 90% of the market’s OLED supply. The Youm is the first in a new generation of smartphones that will be more discreet and available in more forms than the traditional candy-bar layout. One more comment. This is just my PERSONAL OPINION but Google glass…While the video showing what it does and concept blew me out of the water, the actual device rates a 0.5 out of 10 on a scale. ITS THAT BAD!!! It’s so heavy that moving your head around is basically impossible, many or most times the commands fail or don’t work and sometimes the entire system malfunctions and you must restart. It also has a HORRIBLE battery life. THESE ARE JUST A FEW REASONS I’M SAYING…..WAIT FOR THE TECH TO GET BETTER AND CHEAPER!! They don’t even adjust or fold up! Enough said. The solar plug socket is amazing. Only $400000 for the tv. One day they’ll be in every home! Where can I find the transparent faucet and how much. Is there a special sink that goes with it? Thank you. These a pump you have to buy and you have to turn on your utilities. This will cost more then the faucet. I’m willing to wage that the faucet will accumulate fungus in the tube from holding the water to long when not used. This means u have to take apart the faucet for cleaning and it’s just a problematic senerero here to say the least. Maybe we can have a toilet that does the same thing. I save on water bill just by using the water on top of the toilet! Just take the lid off the toilet take and wash hands. I keep soap on top the sink next to the toilet and I have a hoke I made on top the lid. Now I don’t have to keep removing the darn lid. I just put my hands in the water. They’ve been saying flexible phones will come out for a while now, apple have already released theirs #bendgate. single stack kitchen is not available in the market. Hybrid computer is also same. therefore, the topic of this post is a kind of misleading.